Please use "Categories" menu to see stories from a particular time period! It all came together junior year at Drake. 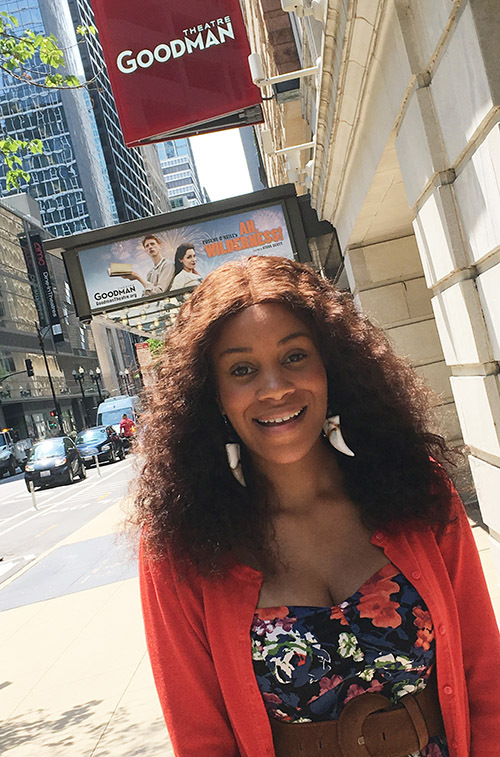 As part of the curriculum for her performing arts management class, Marissa Ford ’07 was responsible for developing a business plan for a theater production company. She crafted a mission statement, plotted a season of performances, drafted a business proposal, and presented before a panel of professors, acting as potential investors. The exercise illuminated the business side of the theater and sparked her interest in pursuing a career in the field. “This opened my eyes to what I wanted to do: to develop my own theater company,” Marissa says. Currently she’s learning the ropes from the masters. At the storied Goodman Theatre in Chicago, the city’s oldest and largest non-profit theater, Marissa works as a special projects associate, juggling a series of responsibilities, from coordinating meetings between departments, hiring actors and directors, and brainstorming on the many details that go into making a successful stage production. In 2015 she managed all events surrounding the Goodman’s August Wilson Festival. She is currently working with colleagues on the first sensory-friendly performance of A Christmas Carol, celebrating its 40th anniversary year at the Goodman in 2017. Marissa says she is thrilled to “have a seat at the table” at the Goodman and access to both the actors and the executives. A former apprentice to Goodman’s longtime executive director Roche Schulfer, Marissa says the on-the-job experience she received shadowing Roche, sitting in on financial meetings, and attending board events has been an education in and of itself. “It’s like getting an MFA for free,” she says, adding that she never dreamed she’d find a workplace she loved so much this early in her career. Like many in the theater industry, Marissa is an actor at heart. As a child she appeared in church productions with her family. At LFA, she starred in multiple stage performances, including The Diary of Anne Frank and Once Upon This Island, and even directed a full production of Women and Wallace for her independent study in theater with Mark Dryfoos. And as a theater major at Drake, she gained experience both on the stage and behind the curtain. Marissa says the urge to act never goes away. But for now, she’s just happy to be making art. And theater is an art she encourages more people to enjoy. While TV and Netflix are fast and easy ways to get a media fix, Marissa challenges entertainment-seekers to give the theater a shot. One day Marissa hopes to open her own theater company on the city’s South or West Side. She’ll focus on African-American stories, cultural narratives that might not be represented in the media today. Until then, she continues to immerse herself in the Chicago theater scene and to soak in as much knowledge as possible from the people and performances around her. And, most important, she spreads the gospel of theater every chance she gets. Marissa Ford is a 2007 graduate of Lake Forest Academy and a 2012 graduate of Drake University, where she earned her BFA in Theatre and a BSBA in International Business. She is a special projects associate at the Goodman Theatre in Chicago. She lives in Hyde Park. Cindy Nielsen ‘07 believes in magic: The magic of people. The magic of connection. And the magic that occurs when individuals band together for a common good. In her world, magic happens every day. Cindy is a development manager for the Chicago council of Girls on the Run (GOTR), a non-profit organization that supports and empowers girls in grades three through eight to become their best selves. Its curriculum is designed to instill confidence in young women, to help them realize their potential, and to teach healthy habits and life skills. The after-school program also incorporates a running component. At the conclusion of the 10-week experience, girls participate in a 5K race. Cindy describes the program as a journey, an opportunity for young women to discover they can do anything. An unfulfilling job in PR in New York City after college pushed Cindy into the world of non-profits. Looking for a career that would feed her need for storytelling while allowing her to have a positive impact on people, Cindy discovered GOTR and knew it was the perfect match. “I need to work at a place where the mission matters,” she says. In her role, Cindy connects individuals and corporate sponsors with GOTR and secures funding to keep the organization strong and viable. She has even served as a running coach for a cohort of girls. While all aspects of her job are rewarding, Cindy says it’s those moments when she steps away from her desk and interacts with the young women that are the most meaningful. “That reminds me of why we do [what we do],” she says. One particularly satisfying experience occurred when she paired employees at a financial firm in Chicago with a group of girls from the city’s Austin neighborhood. The firm bused the girls from the west side to North Avenue Beach, where they buddied up with employees at the company and practiced together for the 5K race. Cindy recalls the excitement and sense of accomplishment the girls felt in completing the training course and interacting with these adult mentors, who encouraged and supported them throughout the workout. “They did so much more than running that day,” Cindy says. Growing up, Cindy knew she wanted to help others but wasn’t sure how. As a sophomore at LFA, she volunteered for the first time, traveling twice weekly to the local Boys & Girls Club, where she assisted children with their homework and taught them how to read. So changing, in fact, that she vowed to stay involved in service throughout her life. In addition to her work with GOTR, Cindy also mentors a young woman in high school through the iMentor program in Chicago. She shares insights about how to apply to college, choose a major, and determine a life path. Cindy’s best advice for her young mentee? Look at people you admire and ask them about their job, what’s their favorite thing to do. And when you find the fit that’s right for you, presto: That’s magic. Talk about living the dream. Midfielder Jourdan Gooden ’12 is one of those lucky athletes making a living playing the sport he loves: soccer. But Jourdan prefers to think of himself as blessed. Hard work, a supportive family, and lots of sacrifice combined to make his childhood dream of becoming a footballer a reality. Jourdan has been playing soccer since age four. While he dabbled in other sports growing up—basketball, American football, track, swimming—his soul is tied to soccer. A former member of the U-15 National Team, Jourdan attended LFA for his senior year of high school, where he was part of the Caxy varsity squad while also playing for the prestigious Chicago Fire Academy. He says everything stands out about his one year as a boarder at LFA. “I brag about LFA til the lights go out,” he says, laughing. “There were lots of opportunities,” he explains, citing prep school life, a challenging academic environment, and a community of students from different backgrounds and cultures. Jourdan cherishes the friends he made at the Academy and the teachers who instilled thoughts and philosophies he draws on today. He credits English teachers David Wick and Nat Small for encouraging a love and appreciation for writing, a pastime he engages in regularly. From LFA, Jourdan signed on with the Eagles at Florida Gulf Coast University (FGCU), where he played for the Div I team for two years before transferring to Mercer University. One of the highlights of his college playing days was winning both the regular season conference title and subsequent conference tournament, and making it to the NCAA tourney as a freshman. “This was a good start, the right start [to my career],” he says. 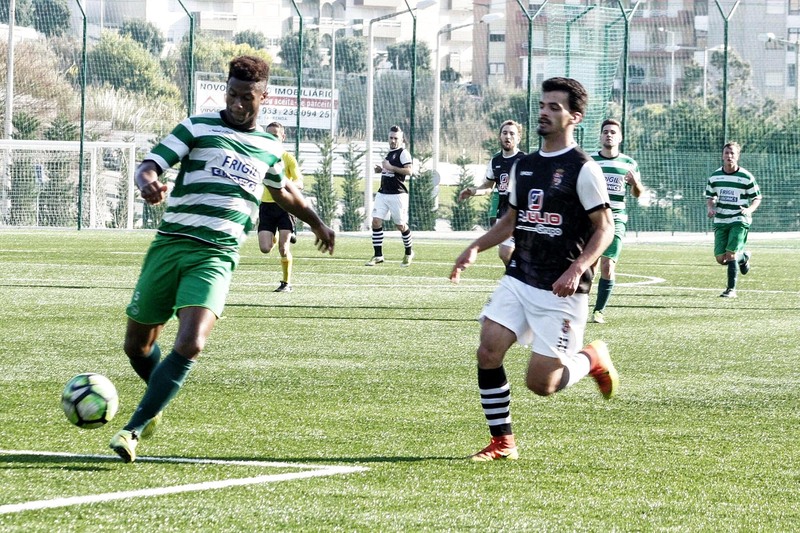 In January 2016 Jourdan signed on with the Portuguese semi-professional football team Associação Naval 1º de Maio. A midfielder, he is the only American on the squad, which comprises men from Senegal, El Salvador, Italy, Kyrgyzstan, and Portugal. The international players speak English among themselves, he says, but when around their Portuguese teammates they do their best to speak the native language of their new home. While he misses his family back in Florida, Jourdan says he is adapting well to life in Portugal, learning the language and appreciating the culture of this southwestern European country. He has even developed a taste for one of the region’s most well-known dishes: bacalhau (codfish). Jourdan Gooden is a 2012 graduate of Lake Forest Academy. A native of Florida, he matriculated at Florida Gulf Coast University and Mercer University, where he earned his bachelor’s degree, with honors, in business administration and management in 2015. Since January 2016, he has been playing semi-professional soccer in Portugal with the Associação Naval 1º de Maio. 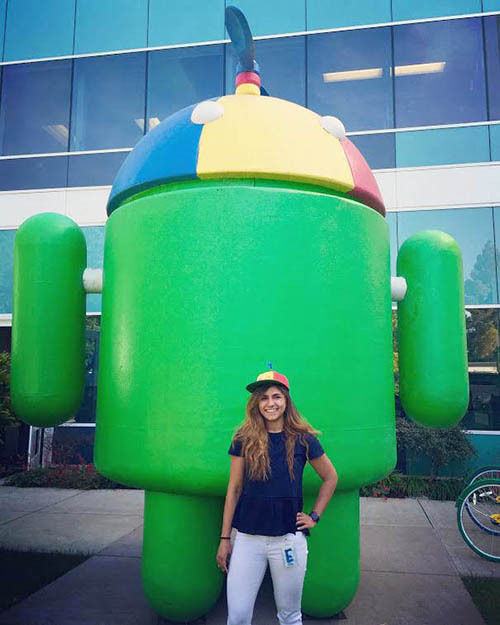 As engineering program manager at Google, Natasha works with system architects, lawyers, sales people, and software engineers to maintain a secure infrastructure for enterprises that use applications in Google’s G suite—Google mail, drive, calendar, etc. “I make sure that the applications meet regulatory standards and that technical controls are in place to keep data secure,” she explains. When considering careers, a job in cyber-security never entered Natasha’s mind. For as long as she can remember, she wanted to be a doctor. She majored in biology at Scripps College with the intention of enrolling in medical school. After shadowing a few doctors, she changed her mind. “I kept hearing the word HIPAA,” she says, referring to the Health Insurance Portability and Accountability Act of 1996. Realizing what a huge role privacy and protection of data was playing in the medical world, Natasha switched gears and set out to learn as much as possible about HIPAA compliance and data security, eventually earning multiple certifications in the field. After a series of jobs, from a tiny start-up to a corporate giant, where she implemented security programs and conducted security posture assessments, Natasha landed at Google in April 2016. She loves her work at this storied company, a workplace unlike any other she has encountered. “Google is in a league of its own,” she says. Beyond the free cafeteria fare, the custom-made lattes, the food trucks, and the flexible hours, Natasha appreciates the autonomy of the organization and the trust her superiors place in her to get the job done. “They let your work speak for itself,” she explains. A self-starter and an on-the-job learner who is constantly on the hunt for new skills and knowledge, Natasha admits to experiencing her share of setbacks along the way. “I was not a 4.0 student; I did well, but I wasn’t at the top of my class,” she admits. But dogged persistence has served her well. When she failed a certification exam or got laid off from a job, she dusted herself off and tried again. Natasha’s future goals include continuing to grow her technical expertise. “Recently, my roles have been on the regulatory advisory side; I’d like to be more involved with the technical implementation of these security controls.” Working with sharp, tech-savvy individuals at Google is advancing her knowledge and helping her understand more about the back-end of the business: the how of data storage and application functionality, in addition to the why. “It’s a cat-and-mouse game,” says Natasha about the wide world of data. “Either you’re getting the data—like a hacker—or you’re protecting the data,” as she and her colleagues are doing, thwarting those evildoers one at a time. 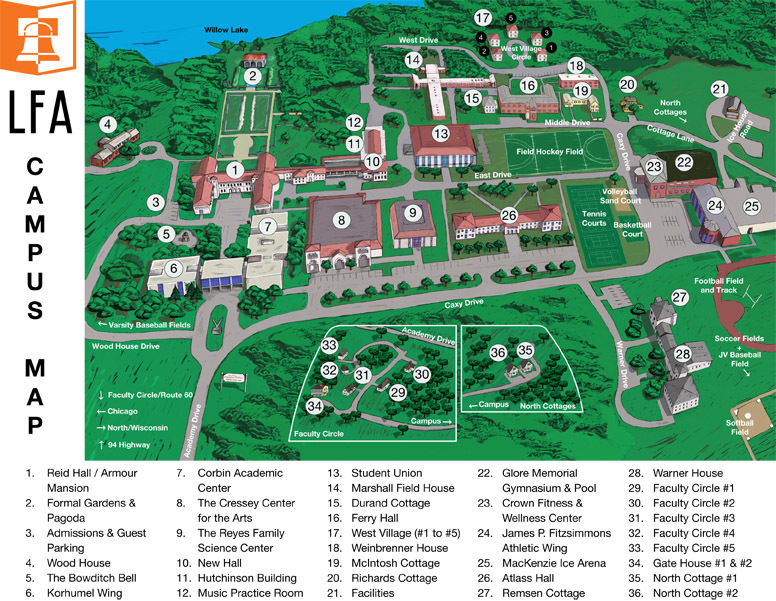 Natasha Pabrai ’10 is a 2013 graduate of Scripps College with a degree in biology. She lives in San Francisco and works at Google headquarters in Mountain View, Calif. 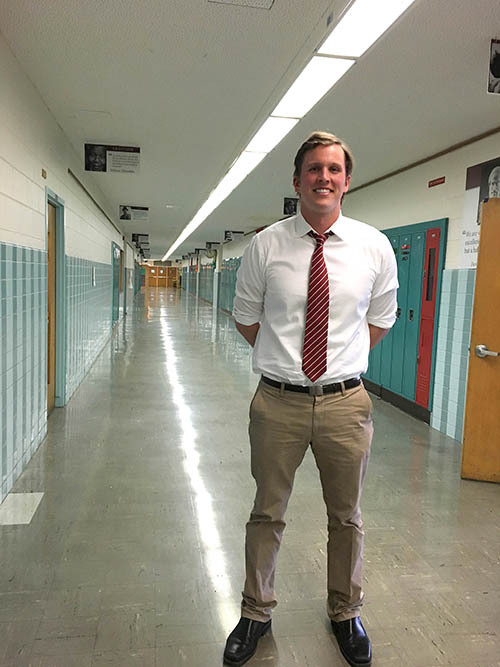 When you see Dean of Students Bobby Coburn ’09 in the halls of Carmen School on Milwaukee’s Northwest Side, it’s clear he’s in his element. As he passes a bulletin board decorated with photos of seniors who have been accepted into college, he announces, like a proud parent, that they represent the first class of students to graduate from this urban charter school, which opened in 2013. Bobby joined Carmen Schools of Science & Technology in 2013, fresh out of DePauw University and new to the Teach for America program. A classroom English teacher and football coach by day, he spent nights earning his teaching credentials and a master’s degree at Marquette University. Now in his fourth year at Carmen, he is part of the school’s leadership team, as one of two deans of students. The new role has him reflecting on his own high school experience. “I was head prefect at LFA and had a lot of contact with Mr. Tennyson [LFA's Dean of Students],” he says. Now that he’s a dean himself, Bobby has a newfound appreciation for the resilience and composure Tennyson demonstrated when dealing with student discipline issues. “It’s never as easy as it might seem,” says Bobby, about the position. Bobby finds himself channeling Tennyson and others in the LFA community, including his basketball coach Matt Vaughn, when interacting with students. He remembers the patience and grace they extended to him as a teenager, “even when I didn’t deserve it,” he says. Building strong relationships with students and creating a positive growth environment is central to Bobby’s style. He’s says it’s critical for him to find common ground with students. His young age—25—is an advantage in that he’s relatable. While he recognizes that his background and life experiences are different from the students he interacts with at this urban school, their values and goals are the same: success in college and beyond. “We want to see them [excel] in college, in their careers, and in their community,” he says. To this end, Bobby and his colleagues have tailored the model at Carmen to focus on merits rather than demerits. 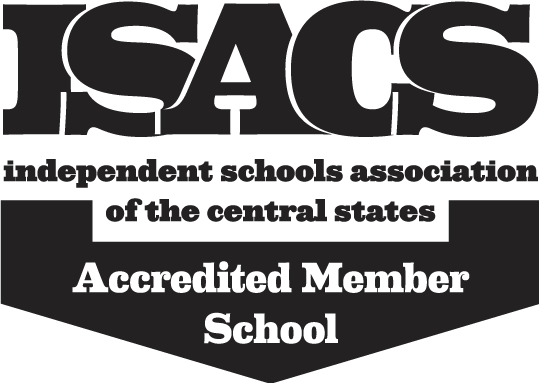 Structures are in place to assist students in the learning process: an extended school day, mandatory office hours, daily enrichment periods for math and reading. Incentives and positive reinforcements keep students inspired and motivated. Bobby says Carmen is more than just a job: His colleagues are some of his closest friends, and the relationships he has forged with students are some of his most meaningful. Though he’s unsure if education will remain his life’s career, for now it’s his full-time commitment and top priority. Bobby Coburn is a 2009 graduate of LFA and a 2013 graduate of DePauw University, where he earned his degree in English Literature. He also holds a master’s degree in Educational Policy and Leadership from Marquette University. He lives in Milwaukee. 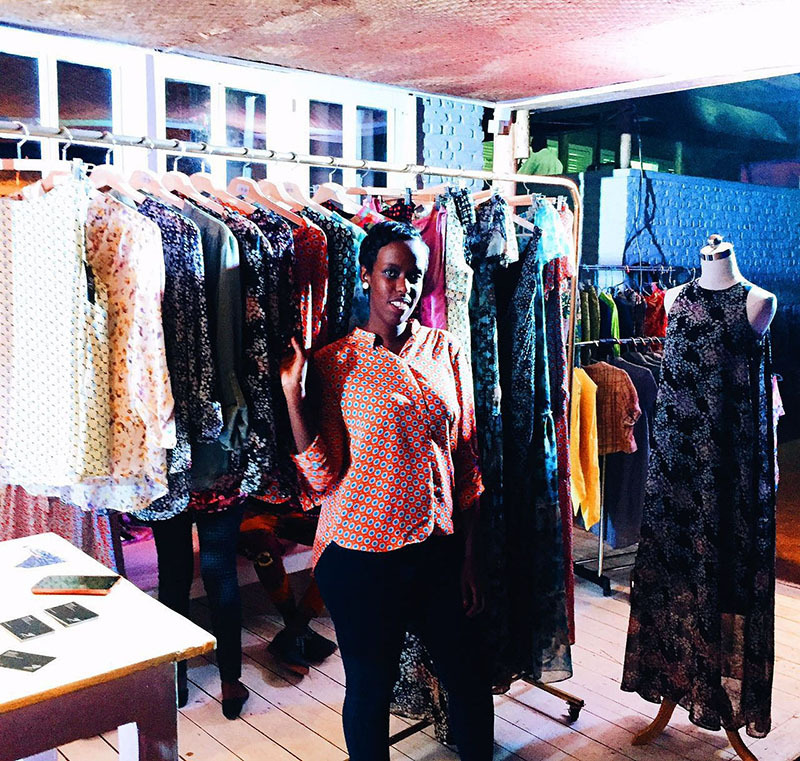 In her boutique-office on the first floor of a two-floor flat located 15 minutes from downtown Kigali, Rwandan fashion designer Sonia Mugabo ‘08 is thinking up ways to make people feel beautiful. Two years ago, Sonia started her eponymous fashion line. Working alongside an assistant and a tailor, the trio surround themselves with samples of Sonia’s clothes and sketchbooks, working to create a line of clothing that fits and flatters both women and men. Sonia knew from a young age that she wanted to work in design. As a child, she cut up anything she could get her hands on—tablecloths, colorful Rwandan paper money—to make dresses for her Barbie dolls. During her year as a student at LFA, she took courses in drawing and photography and 3-D design, even enrolling in an architecture class in Chicago to learn more about that discipline. She ultimately earned her degree in visual communications and graphic design from Buena Vista University in Iowa in 2013. Three years ago Sonia returned to her native Rwanda to make a name for herself as an entrepreneur. Despite worries from her pragmatic parents—both lawyers—who encouraged her to do fashion “on the side” while working a more stable job, Sonia followed her heart. These days she is a pioneer in the young, but burgeoning, fashion industry in Rwanda, a place where opportunity abounds for young entrepreneurs, especially females, like 26-year-old Sonia, who considers herself “privileged” to be among the vanguard during this exciting time in her country’s history. Sonia hopes to make her brand a global, household name and to be a role model for other Rwandan girls who dream about careers in the fashion industry. So far, she specializes in clothing for women and men, but hopes to branch out into accessories once she grows more comfortable with her business. Being an entrepreneur and a fashion designer has had its challenges, Sonia admits. It’s hard to be a creative, while also running the business side of an enterprise. But, while learning to do things on her own, she has gained great knowledge and now understands how to manage her finances more effectively. “I feel like I’ve been to business school,” she says, laughing. Sonia’s advice for aspiring designers is simple: Start small and have a vision. “It’s easy to give up. But every day I [envision] where I want my brand reaching. This motivates me to keep going, to set goals for myself,” Sonia says. And just how far does she see her brand reaching? “I want to walk down Michigan Avenue or Fashion Avenue and see my store,” she says. When Dr. Ernest Powell ’03 was 12 years old, a teacher assigned him and his classmates a special project: to paint portraits of their future selves. Fast-forward 19 years. He wasn’t too far off the mark. 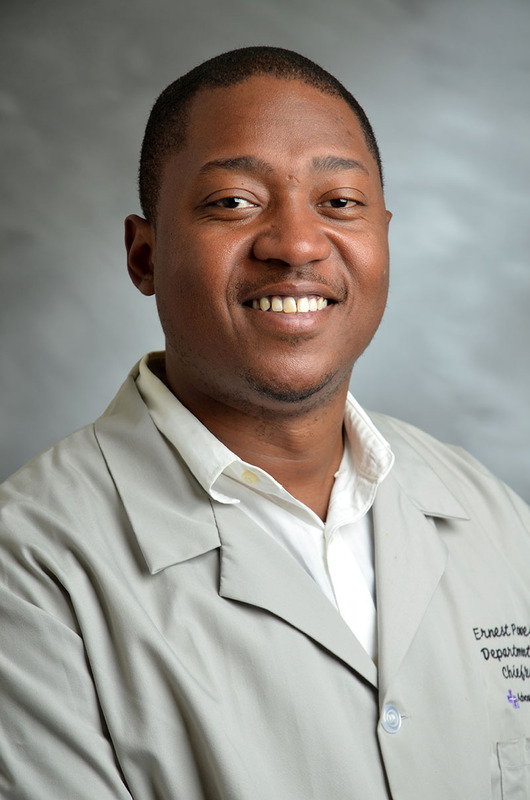 In his fourth and final year of medical residency at Illinois Masonic Medical Center, Ernest is fulfilling his childhood dream of becoming a doctor. Working in the field of obstetrics and gynecology—the rotation he feared most during medical school—Ernest says he cannot imagine a more suitable or fitting profession. For someone who gets bored easily, the fast pace of his job and the constant rotation of new people and new medical challenges keep him on his toes. As for the long hours and the sometimes-frenetic nature of doctoring, Ernest says he doesn’t mind the grind. Ernest works most days from 6 a.m. til 6 p.m. and is on call every other weekend. While delivering babies and diagnosing illnesses, he is developing his bedside manner. Ernest says he strives to be direct yet empathetic with his female patients. He says it’s easy to “become cold” as a doctor when you see women not taking care of their health or doing things that adversely affect the health of their babies. But he is learning not to judge and to let go of biases when working with his patients, while at the same time making them feel at ease in his presence. When asked about advice for aspiring doctors, Ernest says to make sure you’re choosing the profession for the right reasons. “Don’t become a doctor for the money or because your family wants you to,” he says, noting that those things won’t get you through the long nights of studying, or help you recover after a hard day on the job. Become a doctor because you’re passionate about the profession and know that it’s how you want to spend your life, he advises. So far, life as a doctor has been good for Ernest: the heady feeling of delivering a baby, the thrill of saving a life, the moment when a grateful patient sends a thank you card for a job well done. Ernest looks forward to completing his residency in less than one year and going into practice full time. In reflection, he’s proud to have stayed along the path he planned for himself as a young boy. Ernest is a 2003 graduate of Lake Forest Academy and a 2007 graduate of the University of Illinois, where he earned his bachelor’s degree in economics and pre-med. He also holds a master’s degree in biotechnology from Roosevelt University and his MD from Case Western Reserve. He lives in Chicago’s Uptown neighborhood. If you find yourself in rural Hackberry, La., keep your eyes open for Meghan Pesch ’07. 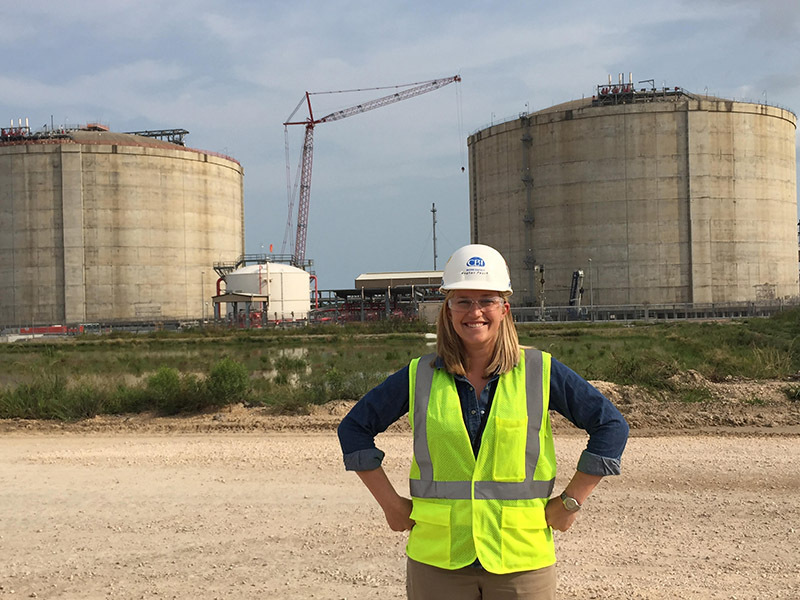 She’s the 27-year-old project engineer in a hard-hat, steel-toed boots, and fire-retardant clothing working on the construction site of a liquefied natural gas (LNG) export facility. Meghan has been with CB&I, an American engineering and construction behemoth, for five years. She started in a rotational training program, which exposed her to all sides of the business, from engineering and construction, to procurement and investor relations. She later took on a role as lead civil engineer at an ethylene facility in Houston before landing her current position as project engineer in Louisiana, helping to construct a facility to move natural gas through the Gulf of Mexico and the Panama Canal. She describes her complex role simply: “I make sure that the project is moving forward and the engineering disciplines are aligned,” she explains. A civil engineer by training, Meghan can pinpoint the moment in time when she chose this industry for her career. The year was 2003; the place was LFA. Inspired by the real-life application of the discipline, Meghan went on to earn her degree in civil engineering from Tufts University. When she graduated, she thought she’d work in design, perhaps constructing buildings or bridges. But the exposure she received at CB&I made her realize there’s a lot more to the industry than designing steel and concrete structures. There’s fieldwork that involves a multidisciplinary approach, something that appeals to her. A typical day has Meghan up early and on site for a 6:30 a.m. safety meeting with engineers, construction management, and craft people—those who dig the dirt and pour the concrete—followed by hours of troubleshooting problems in the field. These might include misalignments between a pylon and a foundation; obstacles standing in the way of steel beams; or other issues that require conferencing with the home office in Baton Rouge. Solving problems keeps her occupied and intellectually challenged, she says. Having a good attitude is also key to succeeding in her field, she says. Meghan has had to relocate as projects demand—West Virginia, England, Texas, Louisiana. While it can be challenging to adjust to a new locale, each place has prepped her with skills that will help in attaining her long-term goal of becoming a project manager. Her advice for young people entering the workforce? Be open-minded. 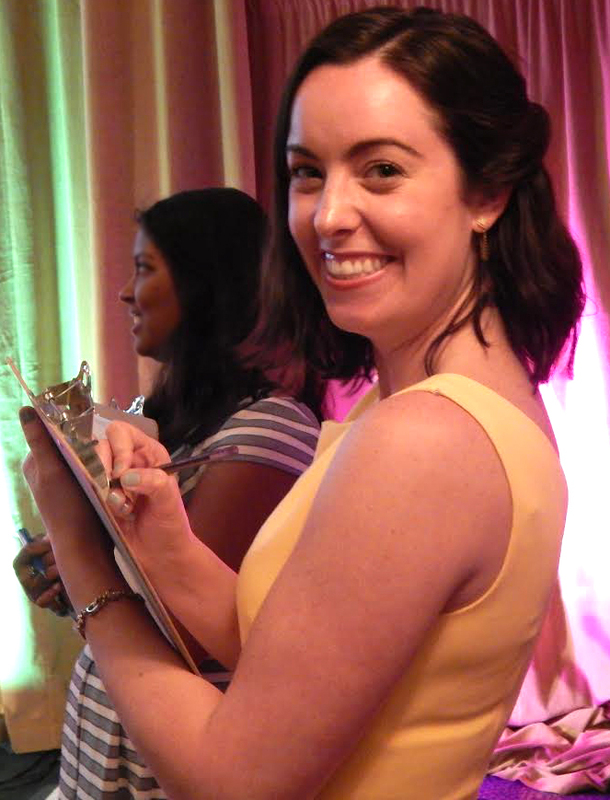 Meghan Pesch graduated from LFA in 2007 and Tufts University in 2011 with a degree in civil engineering. She lives and works in Louisiana. For urban farmers Ben Kant '03 and Shockey Funke '03, there's no such thing as an ordinary day. At their office, an aquaponic farm in the heart of Chicago's Humboldt Park neighborhood, there's always something to fix, fill or, in the case of the tilapia, feed. Along a busy stretch of Chicago Avenue on the city's west side, the pair built a farm on what was once a dairy and later became a parking lot for semi trucks. There, they grow fish, basil, lettuce, and myriad other herbs, in a trio of bays that they designed and built themselves. Ben says it's a thrill to own and operate a farm in the middle of the city as this means immediate access to fresh food for thousands of Chicagoans. Producing and selling locally allows him to move produce from farm to fork in no time, unlike imported lettuce producers, whose crop can languish in transport for up to one week. "Our lettuce lasts a week and a half," Ben boasts. Neither Ben nor Shockey has a formal background in agriculture: Ben was a finance major; Shockey studied film and literature. Their success stems from their curiosity about the environment and their surroundings, their adeptness at solving problems, and their mad DIY skills. The pair built Metropolitan Farms from scratch: constructing the raft beds, hanging the grow lights, building the coolers, and clearing the concrete to make space for prairie grass. Then came the hard part: Getting the crops to grow. "It was a lot of trial and error, a lot of experimentation," says Shockey, the heart of the farm's day-to-day operations. Factors such as temperature, seasons, nutrients, and pests tested their crop and tried their patience. But working through their problems—and watching their crop thrive—is richly rewarding. Seeing others, including local chefs, excited about their yield is an added bonus. "That helps me keep everything in perspective," Shockey says. Nearly one year old, Metropolitan Farms is a fully functional business with growing wholesale channels and a thriving farmers market following. Ben is proud of the model he and Shockey have built and enjoys the independence of being his own boss. "We're pioneers here; we're moving forward from our own willpower," he says. "That's satisfying in and of itself. We know that if we succeed or fail, it's a direct result of what we do."